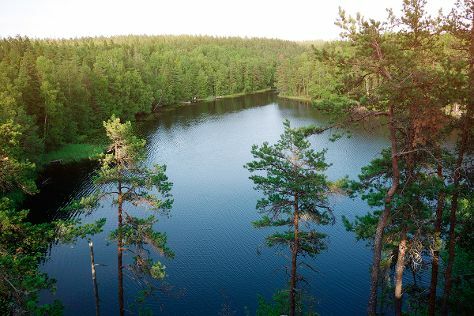 Take a break from the city and head to Nuuksio National Park and Stand-Up Paddleboarding. Your inner history buff will appreciate Rock Church and The Esplanadi Park. Venture out of the city with trips to Tuusulanjarvi (Lake Tuusula) (in Tuusula), Vantaa (Sipoonkorven Kansallispuisto & Pyhan Laurin kirkko) and Espoo (Kaitalampi & Arctic Expedition). Pack the 29th (Mon) with family-friendly diversions at Linnanmaki Amusement Park. There's lots more to do: steep yourself in history at Sea Fortress Suomenlinna, admire nature's wide array of creatures at Korkeasaari Zoo, pause for some serene contemplation at Helsinki Cathedral, and enjoy the sand and surf at Aurinkolahti Beach. For traveler tips, photos, where to stay, and tourist information, read our Helsinki trip planner . Kuwait City, Kuwait to Helsinki is an approximately 9.5-hour flight. You can also do a combination of flight and ferry. The time zone changes from Arabia Standard Time (AST) to Eastern European Time (EET), which is usually a -1 hour difference. Plan for colder temperatures traveling from Kuwait City in July, with highs in Helsinki at 25°C and lows at 15°C. Wrap up your sightseeing on the 1st (Thu) to allow time to travel to Loviisa. Loviisa is a municipality and town of inhabitants on the southern coast of Finland. 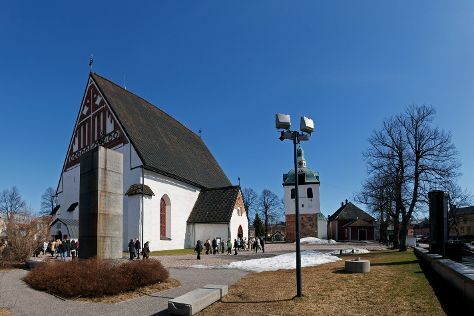 Start off your visit on the 2nd (Fri): take in the architecture and atmosphere at Orthodox Church Porvoo, contemplate the long history of The Runeberg Home, get to know the fascinating history of Castle Hill, contemplate in the serene atmosphere at Cathedral of Porvoo, then stroll through Fredrika Runebergs Park, and finally make a trip to Porvoo Old Town. To see more things to do, photos, ratings, and other tourist information, use the Loviisa trip planning tool . You can drive from Helsinki to Loviisa in 1.5 hours. Expect a daytime high around 23°C in August, and nighttime lows around 13°C. You'll set off for home on the 3rd (Sat).